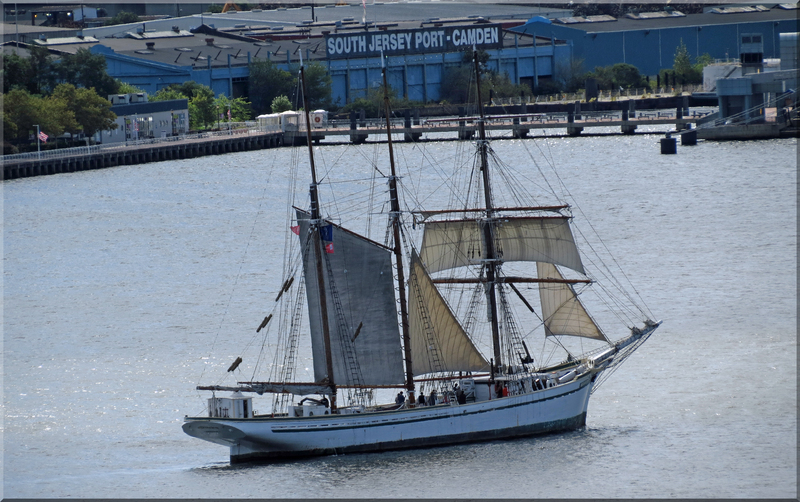 When the Amistad schooner sailed into Philadelphia in May of 2012, I signed up for one of their voyages on the Delaware River. 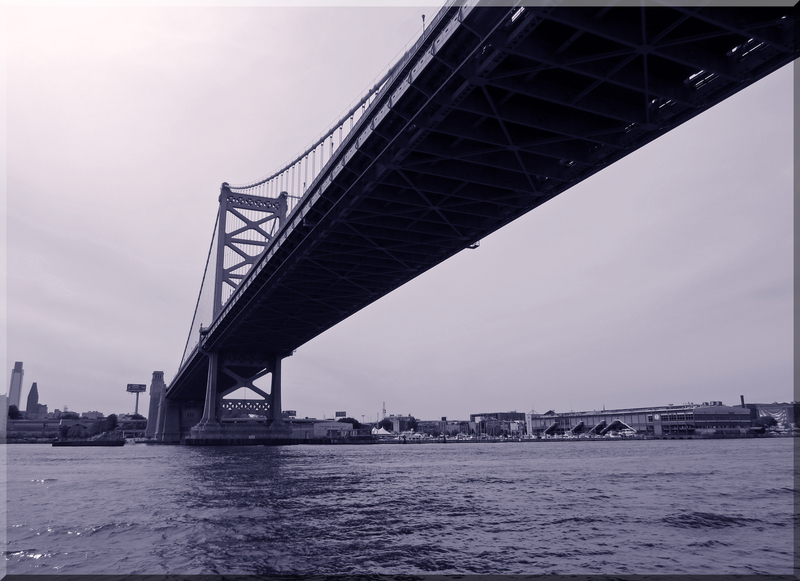 The Amistad glided under the Benjamin Franklin Bridge, and from that perspective, I could view the massive steel superstructure and study the span across the river, stretching from Philadelphia to Camden. When workmen finished building the structure back in the 1920s, it was the longest suspension bridge in the world. 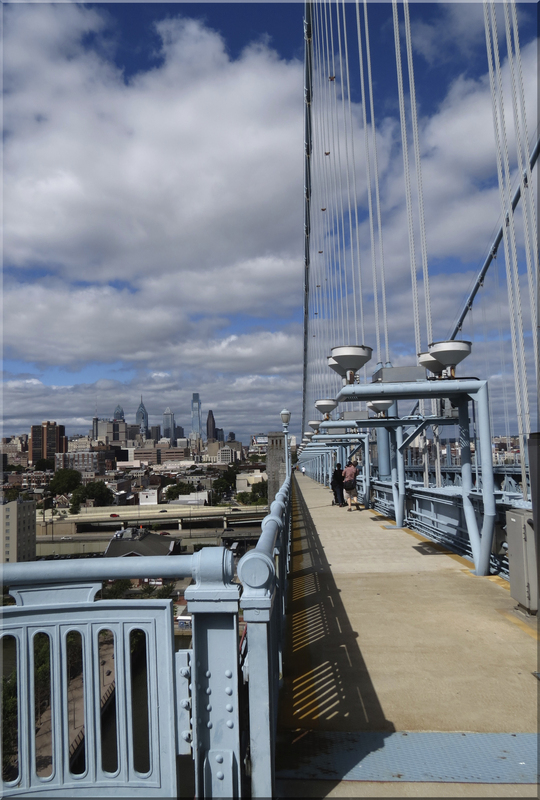 With the bridge’s magnificent arch across the river still fresh in my memory, I now had the chance to walk up and over the bridge on the Architectural Walking Tour sponsored by the Preservation Alliance for Greater Philadelphia. What drew me to cross the bridge was more than a curiosity about the structure, but I didn’t realize my motive until I had finished the walk to the other side. On a bright September day, my sister and I walked down Market Street in Philadelphia toward the bridge, passing the Constitution Center. Having a few minutes, we stopped in at the Museum Shop. We browsed through the various sections, especially admiring their collection of t-shirts. 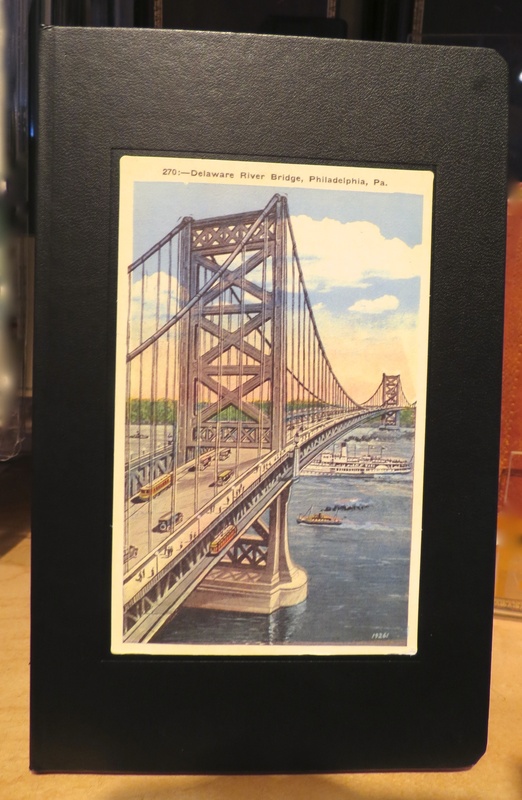 In the book section, I found a diary book with a watercolor of the bridge on the cover. After our brief visit to the shop, we headed back on Market Street and made our way to 4th Street. Our tour began in the Philly Olde City neighborhood, in front of two historic churches, St. George, the oldest Methodist Church in the US and St Augustine, a Catholic Church once burned to the ground to punish the immigrant Irish for having the audacity to settle in the area. In 1922 the first draft of the construction suggested that the bridge go right through St. George; but the congregation protested, and architects made an adjustment, with a 14-foot leeway that preserved St. George. Each church had to accommodate to the bridge by constructing walls, one floor below the original structure, lowering their doors, so that 4th Street could go under the bridge. Garden at St. Augustine, looking across to St. George Church and the Bridge to the right. Our guide led us up a side street to the pedestrian walkway that runs along the East side of the bridge. As the tour group started to walk up the inclined sidewalk, we could see the hubbub of activity on the side streets below and point out landmarks, such as the steeple of Christ Church. Art deco lanterns lined up on the railings that followed the sidewalk. As we approached the first granite anchorage, originally constructed as a trolley station, cars along Route 95 sped by underneath. The highway ribbons along the Delaware and stands as a central feature in the landscape from that view-point. Christopher Columbus Boulevard shadows the superhighway, and one lone building, municipal Pier Number 9, is reminiscent of the days when the Philadelphia port had been a major thoroughfare of commerce, with wharfs and docks lining the Delaware port. The twentieth century saw much of the historic riverfront razed. Condominiums now occupy spaces along the river as well as Penn’s Landing, Seaport Museum and The Olympia, the world‘s oldest steel ship still afloat. A grand landscape stretched before us. I looked back on the city, and noticed how the steel cables, extending up the 380 foot towers, framed the walkway. Even though built 80 years ago, the bridge is a marvel of invention and esthetic wonder. From the top of the bridge, we gazed down the river on the New Jersey side to the Adventure Aquarium and Penn Treaty Park and then more distant landmarks, the Battleship New Jersey and the Betsy Ross Bridge. We watched the boat traffic, everything from a schooner, passenger ferry, container ship, motorboats and tugs. A schooner sailed alongside the working boats of the river. 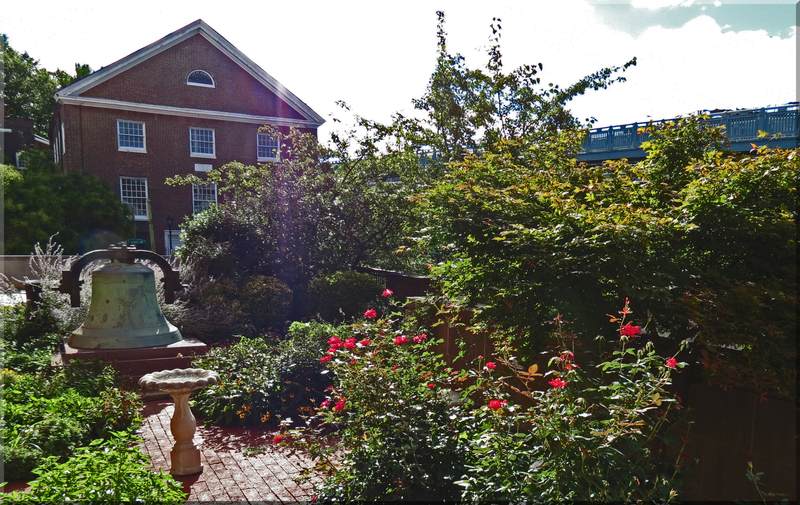 Walking toward Camden, we focused on the city’s waterfront where neat-looking parking lots were surrounded by green spaces with trees and landscaping. The baseball field and stadium, home of the Camden Riversharks minor league baseball team, sported an attractive brick exterior and the look of yesteryear with peaked roof lines. A game was just getting underway as we walked by. When we were children, our family would drive over the Ben Franklin Bridge to vacation at the Jersey Shore, and I remember we would look out the car window searching for the dog on top of “Dad’s building” where he worked. The puppy sitting in front of the gramophone was the famous RCA, or Radio Corporation of America, trademark, and the image appeared on all of their records. 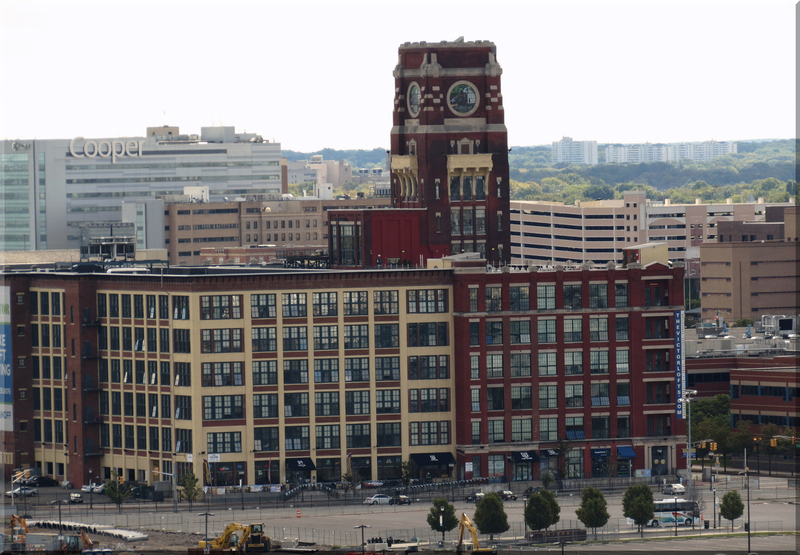 The Nipper Building, the nickname for what was once labeled as Building 17 of RCA’s Camden Plant, was built during the second decade of the twentieth century to house the Victrola cabinet factory. 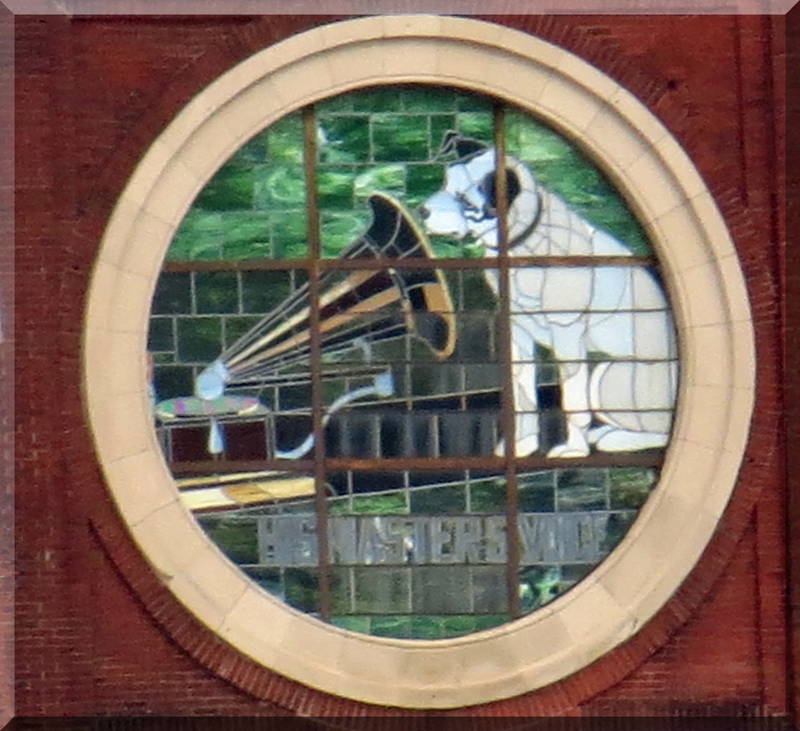 In 1916 the company installed on the tower four stained glass windows depicting the dog and gramophone. 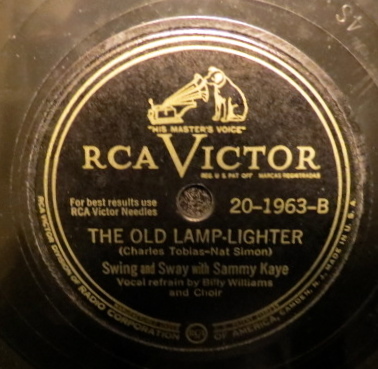 The RCA Corporation bought the building in 1929, using the Victrola names and logos on their own line of products into the 1970s. I wished that I could go back in time and ask Dad to take pictures of the bridge, plant and river because the area looked entirely different back then as factories, smokestacks, utility buildings and railroad lines occupied the landscape. For over two decades Dad worked for RCA as an electronic engineer, and I have only one picture that documents his work at the plant. Our family didn’t realize the larger implications of my father’s transfer from Camden to Massachusetts in 1968. RCA began to reduce and sell off most of their broadcast products, finally going out of business in 1986. Buildings along the waterfront area were torn down as the area became abandoned and neglected. 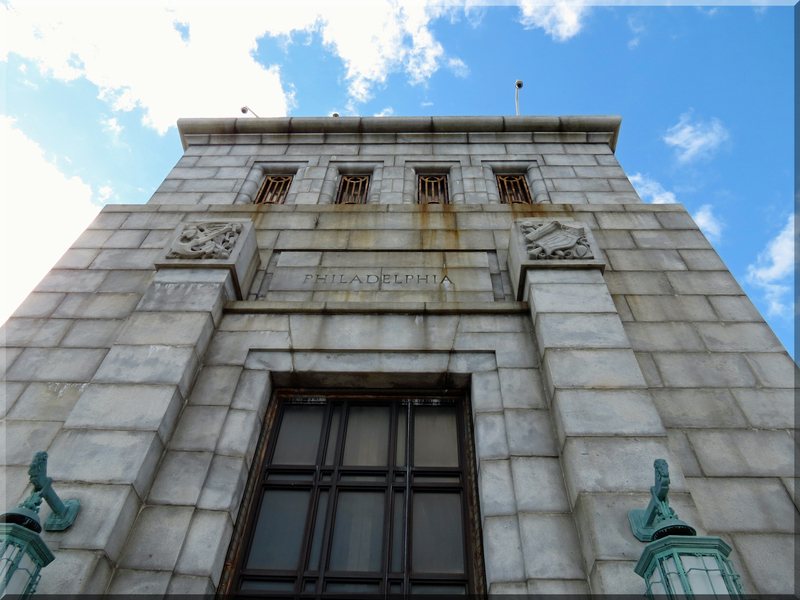 Building 17 also fell into disrepair and almost met with the wrecking ball, saved in 2001, when the New Jersey Economic Authority awarded a grant to preserve the structure. The Nipper Building is now listed on the National Register of Historic Places. I don’t believe my father ever suspected that someday, the well-worn factory where he worked, would be considered a national treasure, but my sister and I always thought there was something special about that dog atop the tower. Forty years later, the iconic image guards the memory of my father and thousands other workers, whose electronic inventions pioneered broadcasting technologies. The bridge had guided me back through our family history that I had almost forgot.